Rolex isn’t just famous for their timepiece, they’re famous for the people and nicknames their watches have garnered over the years — most often, tapping into pop culture. One of the most famous examples of this would be the Paul Newman Daytona, an iconic timepiece made popular by the star power of Newman and the silver screen. But within the vintage watch collecting community, there’s often nicknames for nicknames — giving collectors a way to distinguish some of the most valuable and rare timepieces out there. One of them is the John Player Special Paul Newman Daytona Rolex, a remarkable timepiece whose nickname isn’t as relevant today. But, the price tag shows this watch is more valuable than ever. The John Player Special is a watch that catches a lot of eyes. The face of the John Player Special has all the classic markers of a Paul Newman Daytona that you’d expect. There’s the famous three sub-dials, three-color dial featuring the desired red, and the tachymeter scale on the bezel — the first watch to do so. 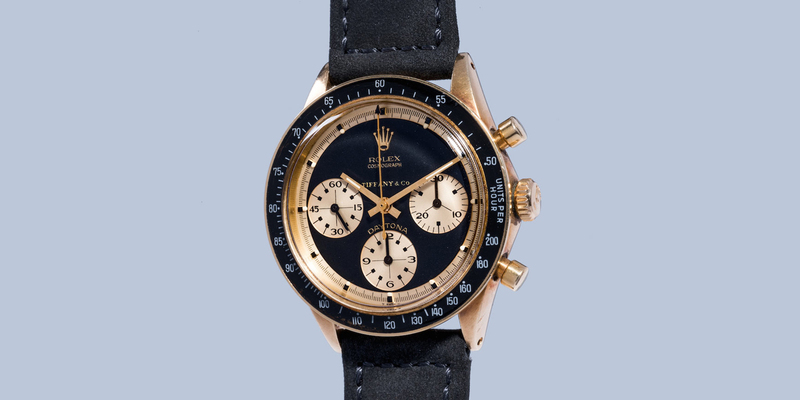 But what makes the John Player Paul Newman Daytona so sought-after is its black and 14K yellow gold dial. The sub dials are also outdone with art deco numerals, sub dial crosshairs, and like all other Paul Newman Daytonas — the top left dial is marked with 15, 30, 45, 60 rather than 20, 40, 60. The original Cosmograph Daytona has lived through three separate series. And the original series, like this ref. 6241, was produced in very small quantities, beginning in 1963 and lasting through the 1980s. These watches have a four-digit model number and feature a manual-wind movement. The John Player Special will garner you a lot of money. Bob’s Watches is always willing to buy! But where did that name come from? Well, back in the 1970’s there was this tobacco company called John Player Special, and their products were sold in this beautiful black and gold box. In 1972 they began sponsoring Team Lotus Formula One motorsports team. The team went on to win the Constructor’s Championship 3 times in the 1970’s and the Driver’s Championship in 1972 — gaining international fame. 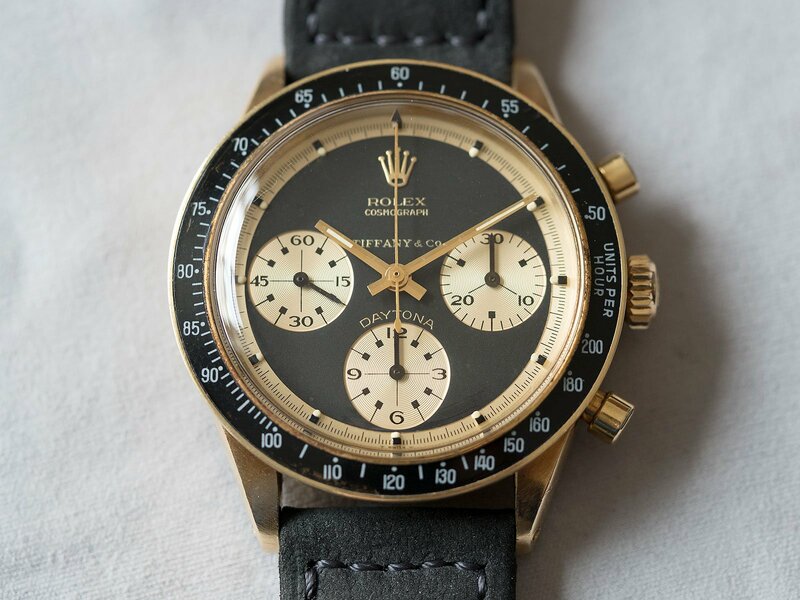 Then one day, collectors and industry-insiders began calling this stunning black and gold Paul Newman Daytona, obviously used often within the racing industry, the John Player Special. The box’s iconic aesthetic now forever lives on in one of Rolex’s most coveted, and rare timepieces.